The right to vote is a privilege that has long been debated. Our founding fathers restricted the populations who could vote, fearing the power that the vote gave and believing that not all people possessed the intelligence to wisely use such power. Many men in the late eighteenth century believed that the vote was a privilege to be conferred only to those who possessed enough money and land to be politically reliable. This considerably limited those who could vote for George Washington in 1788 and those voting for Benjamin Harrison in 1888. Minorities proclaimed that the vote was a right, and that anyone who lived under the laws formed by the politicians had a right to help select those writing the laws. This legal debate began before the Constitution was even ratified. The following is an excerpt from a letter Abigail Adams wrote to her husband John, showing the concerns of one woman for her legal rights. Abigail Adams’ strong words were treated as a joke in March of 1776, but they show the beginning spark of the women’s suffrage movement in the United States. She did not advocate that women receive the vote or hold public office. Abigail simply wanted a separate legal existence. The first Women’s Rights Convention was held on July 19 and 20, 1848, at the Wesleyan Chapel in Seneca Falls, New York. The convention was organized by Elizabeth Cady Stanton and Lucretia Coffin Mott. The meeting drafted a “Declaration of Sentiments” and 11 resolutions. The declaration was signed by 100 people (68 women and 32 men). The 9th resolution dealt with the right to vote and was nearly voted down. Many of the western states and territories began to give women the right to vote, but women would not secure the national vote until 1920. Alice Paul and other suffragists picketed the White House during Woodrow Wilson’s term. After the United States entered WWI, the picketing was seen as embarrassing. The ladies were arrested and jailed. The poor conditions and treatment of the jailed suffragists soon became a major public relations problem for Wilson. He pardoned all of the jailed suffragists. Two months later, he came out in favor of a suffrage amendment to the Constitution. In January 1919, the bill passed the Senate, and on August 26, 1920, after two-thirds of the states had ratified the 19th Amendment to the Constitution, women finally won the right to vote. 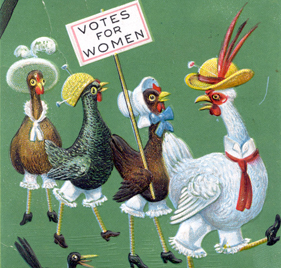 Even though women could not vote in 1888, a woman did run for the presidency. 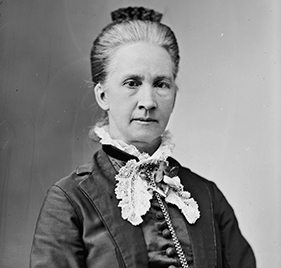 Belva Lockwood ran under the National Equal Rights Party of California. This was not the first time Lockwood had challenged the cultural biases of her day. 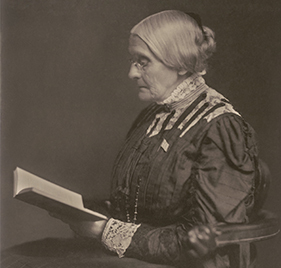 She had practiced law as a married woman and passed a bill in Congress that allowed all qualified lawyers, male or female, to practice law in the highest courts. When Harrison entered the White House in 1889, little had changed for women. The restriction of the need to own property, or be a certain race had been lifted allowing most men the right to vote. 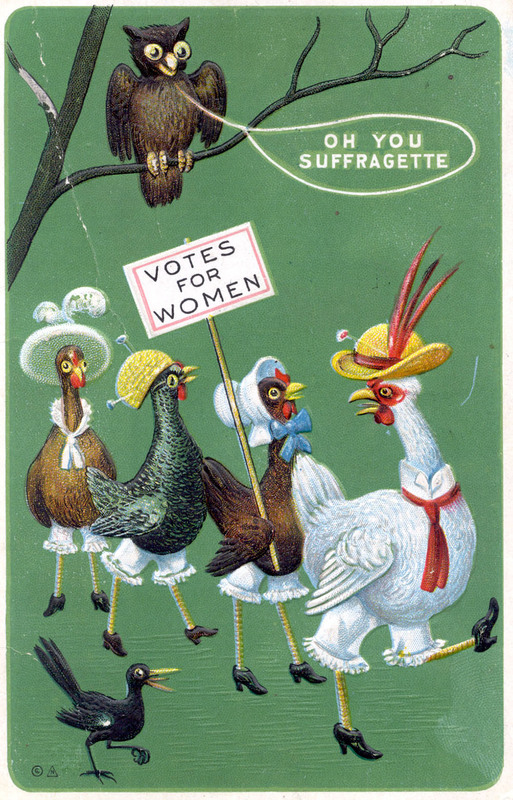 Women were now fighting for the vote along with other legal issues. Many clubs, groups, and movements had formed. The Harrison women as well as Indianapolis women had been influenced by the times. 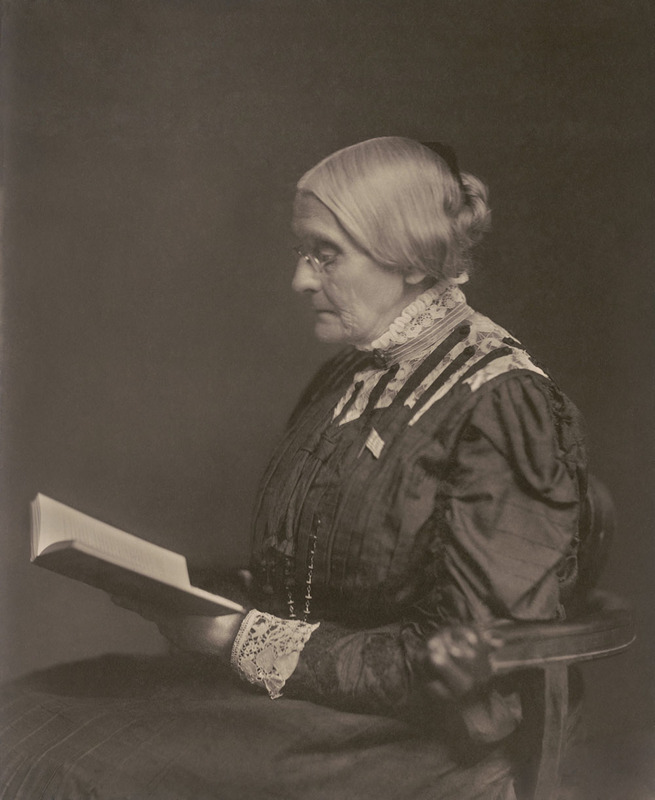 Caroline Harrison was open-minded about suffrage. She supported the hiring of Alice Sanger as the first woman stenographer at the White House. 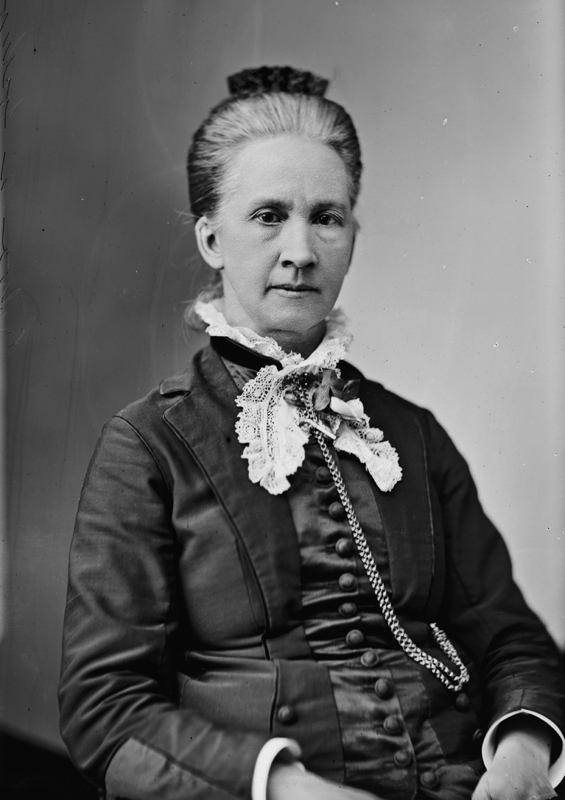 She was active with the Medical Fund for Johns Hopkins Medical School, served as the chairman of the Washington Committee of the Women’s Fund for the school, and attended two receptions in November 1890 in Baltimore to aid in the effort. Mrs. Harrison helped raise $100,000 for the school under the condition that women be given full and equal opportunities in pursuing medical careers. Caroline delivered her own prepared speech before the DAR, a first for an incumbent First Lady. To learn more about Caroline Harrison, please click here. Mary Harrison McKee attended Ogontz Seminary in Pennsylvania. Mary was very active in many organizations, including the DAR and the Indianapolis Woman’s Club. Mary would have known May Wright Sewall and been exposed to the literary offerings of the Woman’s Club. In February 1892, an article by Mary appeared in “The Ladies’ Home Journal” on the training of children. Mary did not believe in very stern punishment. May Saunders Harrison, wife of Benjamin and Caroline Harrison’s son Russell, was born in Mount Pleasant, Iowa. Her father was Senator Alvin Saunders. The Saunders family later moved to Omaha, Nebraska. May was an active member of DAR. She sat on the committee for the Women’s Building at the Columbian Exposition in 1893. Elizabeth Harrison Walker was the daughter of Benjamin Harrison and his second wife Mary Lord Harrison. She attended Tudor Hall in Indianapolis until 1913, when she and her mother moved to New York City. She then attended Westover School in Connecticut. Later, Elizabeth enrolled at New York University School of Law, and the subsequent year added classes at Washington Square College of New York in the liberal arts department. She passed both the Indiana and New York State Bars. During WWII, she served as secretary of the Committee for Economic Development (the only woman member). She was the publisher and editor of “Cues on News,” a monthly publication for women investors. Anna Symmes Harrison attended Clinton Academy in Long Island and completed her schooling at the Isabella Graham School in New York City. This was the end of her formal education, but the world was a vast classroom of experiences. She received an excellent and extensive education for a woman of her day. This prepared her for her journey west. She married William Henry Harrison in 1795. She took charge of the household and supervised the education of their 10 children as well as teaching some of the neighboring children, since there was no school in the area. She instilled in the children the love of learning. Benjamin Harrison was a young boy in Ohio when the first Women’s Rights Convention was held July 19, 1848, in Seneca Falls, New York. Early in his life, Benjamin’s grandmother Anna Symmes Harrison, his mother Elizabeth Irwin Harrison, and his first teacher Mrs. Harriet Giesey helped to form his ideals and beliefs, which helped him develop his own personal conscience. Later in his life, his wife Caroline was a strong influence. Benjamin hired Alice B. Sanger as a White House stenographer in 1889; she was the first woman employed in a job other than domestic service at the White House. He had been challenged by a woman for the presidency, which heightened his awareness of the issues that the National Women’s Suffrage Association was fighting for in the 1890s. Edward Bok, publisher of “The Ladies’ Home Journal,” asked Benjmain to write a series of articles. The first appeared in the December 1895 issue. Harrison’s aim in these articles was to explain how government in the United States was conducted. Bok felt that these articles would better prepare women for the vote. The magazine stated that: “It will be possible, through these papers, for every person to intelligently understand his or her own country… The articles promise to be the most important and instructive magazine feature this year.” The articles ran through 1897. Harrison then published the book “This Country of Ours,” revising and adding to the articles. On June 30, 1888, at an Indianapolis convention for the National Women’s Suffrage Association, Susan B. Anthony and May Wright Sewall wrote an open letter to Benjamin Harrison on behalf of the membership. They pointed out that women were “Lawful Citizens,” since the law recognized them in courts, jails, and prisons. The only place they were not recognized was the ballot box. By being denied the right to vote, they were not being given a voice or representation. They asked Harrison, as head of his party, to be clear in his letter of acceptance of the Republican nomination for the presidency, that the party had pledged itself to protect every citizen in the free exercise of the right to vote at public elections. Funding for this project was made possible through the sponsorship of Caroline Scott Harrison Chapter, National Society Daughters of the American Revolution.